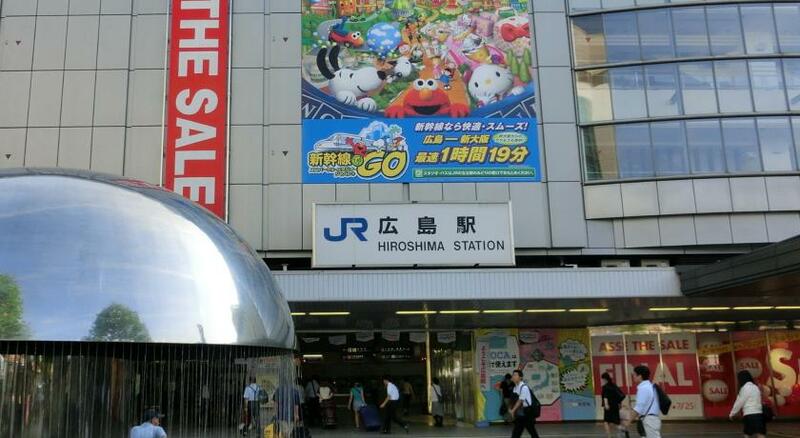 Zeer dicht bij het Shinkanzen station. Aangename verrassing voor ons was het badhuis op de beganegrond (let op de openingstijden, vrouwen van 17:00 tot 20:30, mannen van 21:00 tot 01:00). Daar konden we fijn even ontspannen. Ontbijt is vrij karig maar wel gratis inbegrepen. Green Rich Hotel Hiroshima Shinkansenguchi This rating is a reflection of how the property compares to the industry standard when it comes to price, facilities and services available. It's based on a self-evaluation by the property. Use this rating to help choose your stay! 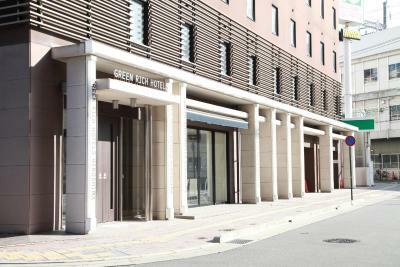 Located just a 2-minute walk from Hiroshima Station, Green Rich Hotel Hiroshima Shinkansenguchi offers rooms with free WiFi. 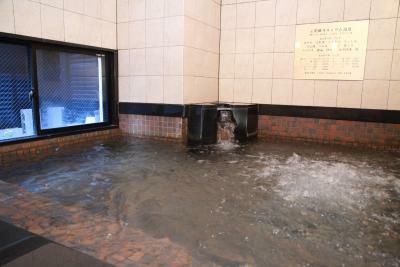 Guests can also enjoy the free sauna and hot spring public bath at the hotel. 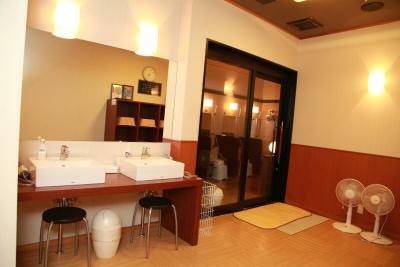 All rooms at Hotel Hiroshima Shinkansenguchi Green Rich have air conditioning, toilet, shampoo and slippers. 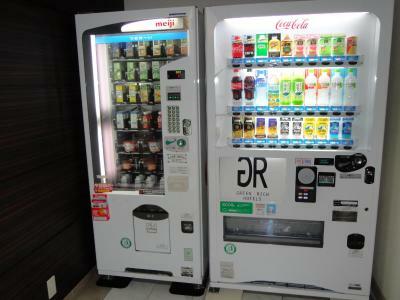 There is a drinks vending machine located in the hotel and private parking can be arranged at a fee, upon prior request. 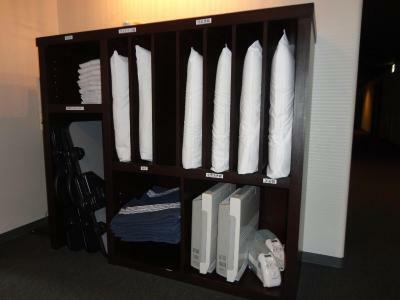 There is a 24-hour front desk and luggage storage is offered for free. 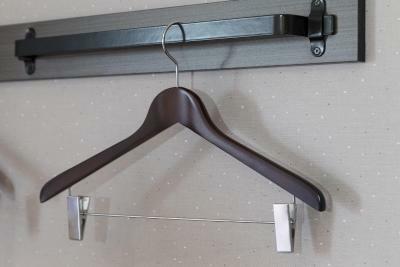 Daily housekeeping and trouser press services are also free for guests. Fax and photocopying services are available at an additional cost. 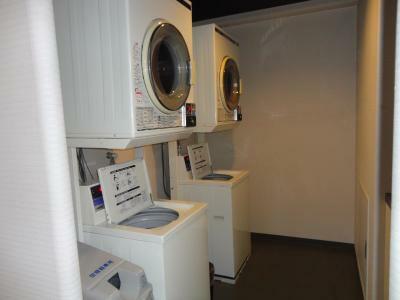 Guests will find coin-operated laundry machines on site. A breakfast buffet is served for free on the ground floor. 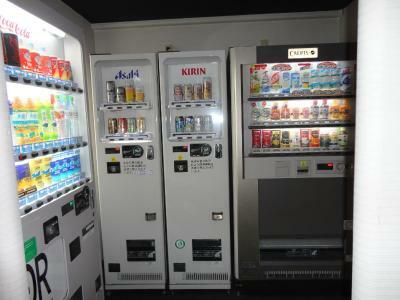 There are also several restaurants, cafes and convenient stores within a 5-minute walk from the property. Shukkeien Garden, renowned for its cherry blossoms, is a 7-minute drive from the accommodations and Hiroshima Castle is within a 8-minute drive. 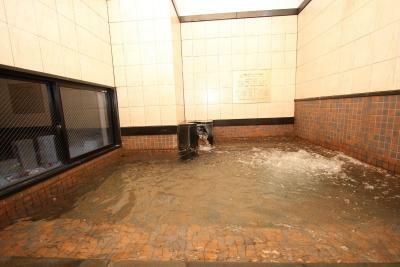 Hiroshima Peace Memorial, a UNESCO World Heritage Site, is 12 minutes from the property by car. Itsukushima Shrine, also listed as a UNESCO World Heritage Site, is located a 1 hour and 22-minute drive from the hotel. 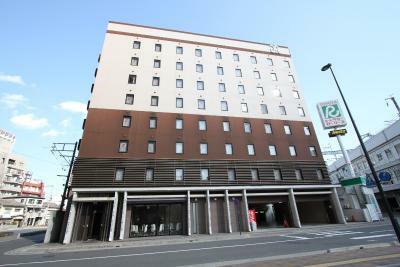 When would you like to stay at Green Rich Hotel Hiroshima Shinkansenguchi? 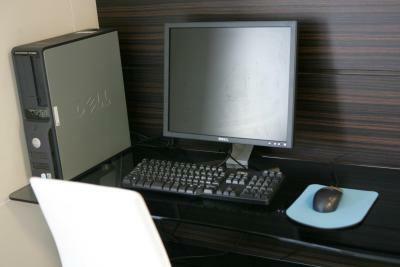 This single room features a desk, LCD TV, heating, refrigerator and electric kettle. 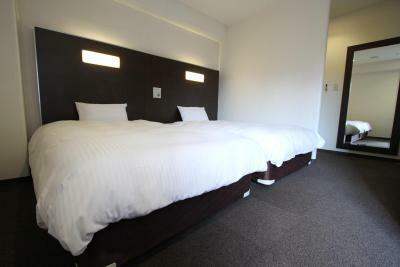 The room has a private bath, hairdryer, towels and free toiletries including body soap, conditioner and toothbrush. Cable and satellite channels are also available. 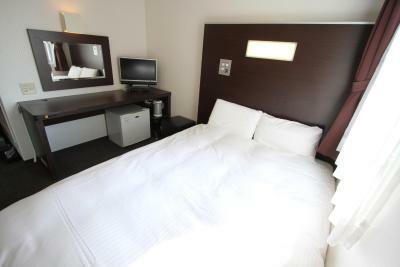 This twin room features a desk, LCD TV, heating, refrigerator and electric kettle. 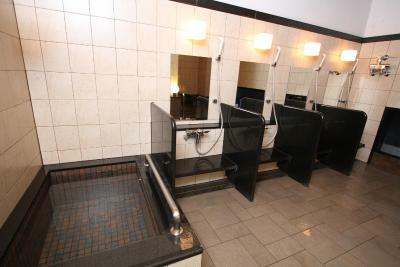 The room has a private bath, hairdryer, towels and free toiletries including body soap, conditioner and toothbrush. 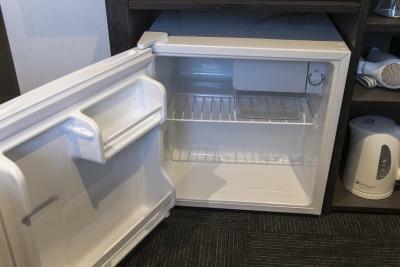 Cable and satellite channels are also available. 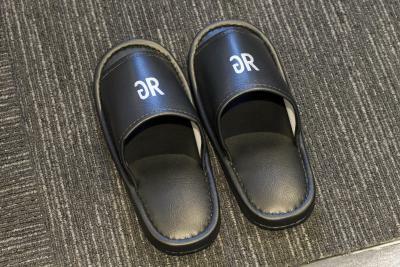 House Rules Green Rich Hotel Hiroshima Shinkansenguchi takes special requests – add in the next step! Green Rich Hotel Hiroshima Shinkansenguchi accepts these cards and reserves the right to temporarily hold an amount prior to arrival. 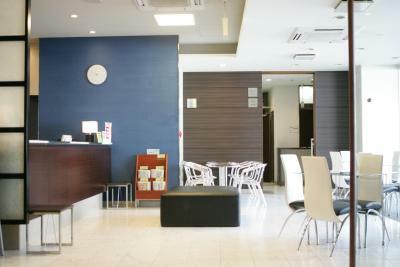 Please note, guests are asked to call the property to make a on-site parking reservation in advance. Contact details can be found in the booking confirmation. The accomodations were a bit older. The isolation could also have been a bit better that close to the station.